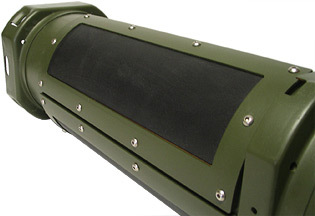 Conco has been involved in the development and production of "insensitive munitions" container designs for several years. From prototyping and small batches to the production of over 2.5 Million IM units to date, Conco is playing a leading role in this new generation of containers. Currently we produce four models of "IM" containers and we are involved in development of additional models. Conco’s boxes are manufactured in accordance with strict military standards. All boxes are constructed using specified steel and welded seams and joints. Each box is tested 100% for leak tight integrity and inside widths and lengths. All of our boxes feature a removable cover that allows full and open access to the internal contents. Conco has met the needs of the U.S. Military in this product line since 1994. Conco’s process to manufacture square bell containers is designed to exceed military standards. Critical functional aspects of the containers are assured through the application of (SPC) statistical process control. Each container is tested 100% for leak tight integrity during the processing. We are able with prior notice to apply a topcoat in colors other than the typical Forest Green. Conco’s square bell containers are guaranteed through process design to meet all internal dimensions and to engage and stack when applicable. 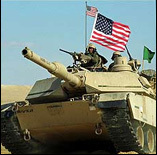 Conco has successfully met the needs of the U.S. Military in this product line since 1984. Conco owns and maintains the only known set of round bell container tooling in the United States. We have produced millions of these screw locking cover containers in support of U.S. and Allied Military needs. Each container is tested 100% for leak tight integrity and is assured to meet internal diameter dimensions. The round bell containers follow the same improved processes as the square bell container for pretreatment coatings and top coat applications. Conco has successfully met the U.S. Military needs in this product line since 1967. Conco is an authorized return site for certain used containers from U.S. Military installations. We have the capability for refurbishing different containers and currently are doing this type of work for the U.S. government and its sub-contractors.